Welcome to fabindiaplano.com. Fabindiaplano.com and its affiliates provide their services to you subject to the following conditions. If you visit or shop at Fabindiaplano.com, you accept these conditions. Please read them carefully. In addition, when you use any current or future Fabindiaplano.com service or visit or purchase from any business affiliated with Fabindiaplano.com, whether or not included in the Fabindiaplano.com Web site, you also will be subject to the guidelines and conditions applicable to such service or business. When you visit Fabindiaplano.com or send e-mails to us, you are communicating with us electronically. You consent to receive communications from us electronically. We will communicate with you by e-mail or by posting notices on this site. You agree that all agreements, notices, disclosures and other communications that we provide to you electronically satisfy any legal requirement that such communications be in writing. All content included on this site, such as text, graphics, logos, button icons, images, audio clips, digital downloads, data compilations, and software, is the property of Fabindiaplano.com or its content suppliers. The compilation of all content on this site is the exclusive property of Fabindiaplano.com. All software used on this site is the property of Fabindiaplano.com or its software suppliers. Fabindiaplano has filed its application for registration under the Trade and Merchandise Act and Rules at Delhi under different classes and awaiting registration. Any violation of our trademarks will be liable for legal action. Fabindiaplano.com grants you a limited permission to access and make personal use of this site and not to download (other than page caching) or modify it, or any portion of it. This permission does not include any resale or commercial use of this site or its contents; any collection and use of any product listings, descriptions, or prices; any derivative use of this site or its contents; any downloading or copying of account information for the benefit of another merchant; or any use of data mining, robots, or similar data gathering and extraction tools. This site or any portion of this site may not be reproduced, duplicated, copied, sold, resold, visited, or otherwise exploited for any commercial purpose without express written consent of Fabindiaplano.com. You may not use any proprietary information (including images, text, page layout, or form) of Fabindiaplano.com and our affiliates without express written consent. You may not use any Meta tags or any other “hidden text” utilizing Fabindiaplano.com’s name or trademarks without the express written consent of Fabindiaplano.com. Any unauthorized use terminates the permission granted by Fabindiaplano.com. You are granted a limited, revocable, and nonexclusive right to create a hyperlink to the home page of Fabindiaplano.com so long as the link does not portray Fabindiaplano.com, its affiliates, or their products or services in a false, misleading, derogatory, or otherwise offensive matter. You may not use any Fabindiaplano.com logo or other proprietary graphic or trademark as part of the link without express written permission. If you use this site, you are responsible for maintaining the confidentiality of your account and password and for restricting access to your computer, and you agree to accept responsibility for all activities that occur under your account or password. Fabindiaplano.com and its affiliates reserve the right to refuse service, terminate accounts, remove or edit content, or cancel orders in their sole discretion. Visitors may post reviews, comments, and other content; send e-Gift Certificates and other communications; and submit suggestions, ideas, comments, questions, or other information, so long as the content is not illegal, obscene, threatening, defamatory, invasive of privacy, infringing of intellectual property rights, or otherwise injurious to third parties or objectionable and does not consist of or contain software viruses, political campaigning, commercial solicitation, chain letters, mass mailings, or any form of “spam.” You may not use a false e-mail address, impersonate any person or entity, or otherwise mislead as to the origin of a card or other content. Fabindiaplano.com reserves the right (but not the obligation) to remove or edit such content, but does not regularly review posted content. If you do post content or submit material, and unless we indicate otherwise, you grant Fabindiaplano.com and its affiliates a nonexclusive, royalty-free, perpetual, irrevocable, and fully sub licensable right to use, reproduce, modify, adapt, publish, translate, create derivative works from, distribute, and display such content throughout the world in any media. You grant Fabindiaplano.com and its affiliates and sub licensees the right to use the name that you submit in connection with such content, if they choose. You represent and warrant that you own or otherwise control all of the rights to the content that you post; that the content is accurate; that use of the content you supply does not violate this policy and will not cause injury to any person or entity; and that you will indemnify Fabindiaplano.com or its affiliates for all claims resulting from content you supply. Fabindiaplano.com has the right but not the obligation to monitor and edit or remove any activity or content. Fabindiaplano.com takes no responsibility and assumes no liability for any content posted by you or any third party. All items purchased from Fabindiaplano.com are made pursuant to a shipment contract. This means that the risk of loss and title for such items pass to you upon our delivery to the carrier. Fabindiaplano.com and its affiliates attempt to be as accurate as possible. However, Fabindiaplano.com does not warrant that product descriptions or other content of this site is accurate, complete, reliable, current, or error-free. If a product offered by Fabindiaplano.com itself is not as described, your sole remedy is to return it in unused condition. With respect to items sold on Fabindiaplano.com, we charge your credit card before your order has entered the shipping process. For any reason if we are not able to ship you products as per your order, we will intimate you electronically and refund the value of the products not available. Any additional Shipping Fees, if applicable, will not be refunded. Please note that this policy applies only to products sold and shipped by Fabindiaplano.com. All of Fabindiaplano orders are shipped door-to-door from our warehouse in Plano, Texas to your provided shipping address via UPS. Processing the order normally takes 2 working days and then Shipping normally takes 4-6 working days. Shipping destinations offered by fabindiaplano.com for delivery will be extended and updated from time to time and listed online. All of Fabindiaplano orders are shipped internationally from our warehouse in Plano, Texas to your provided shipping address via UPS. Due to the nature of international shipping, occasionally a customer may have to pay additional import duties and taxes which are levied once a shipment reaches your country. The large majority of orders will not have to pay any additional fees. However, we are unable to calculate when and how much these infrequent customs duty charges will be levied. In the case where additional customs charges are assessed, you will be responsible for paying these additional fees. To make your shopping experience as seamless as possible, we have arranged with UPS to customs clear your goods for you and deliver them to your doorstep. If you are presented with an invoice from UPS for import duties and taxes, you will have to pay UPS directly at the time of delivery. Fabindiaplano takes no responsibility for non-delivery of orders in case such taxes and duties are not accepted and settled by the recipient at the delivery address and will not provide any refunds in such cases. Fabindiaplano will replace the product free of cost if you are not satisfied with your purchase for any reason. Exchanges or returns must be made within 30 days of receiving your order. You will need to fill out a Returns and Exchanges form which is available on the website under Returns and Exchanges slab. Once we receive your paperwork and returned goods, we will ship your replacement free of cost or issue a refund for the cost of the goods to the original credit card depending on your preference. Shipping charges will not be refunded and customers are required to pay for the shipping costs to return the goods to the US return address. 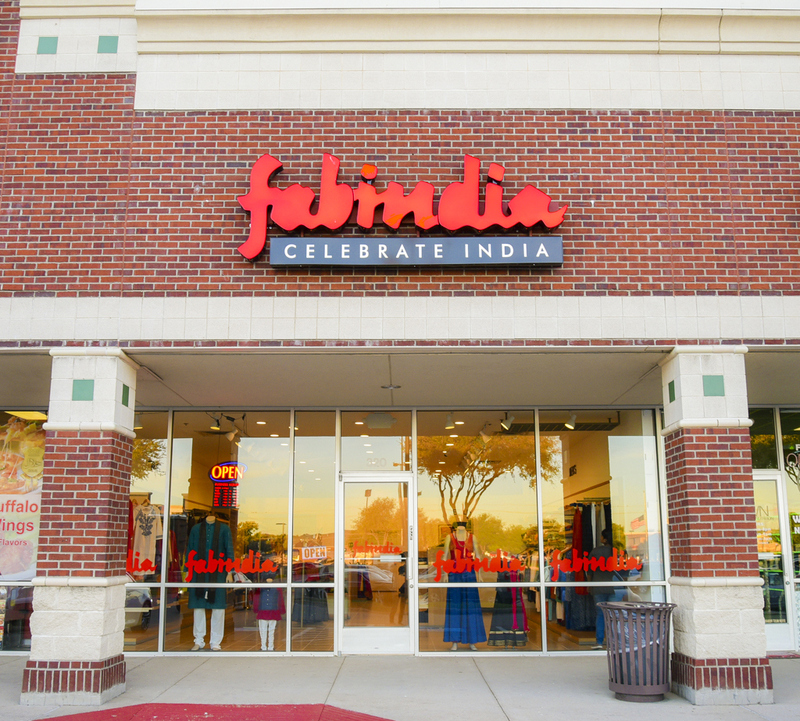 All of Fabindia’s products are handcrafted using the finest natural fibres. The subtle variations in colour, texture and finish are intrinsic to hand made products. 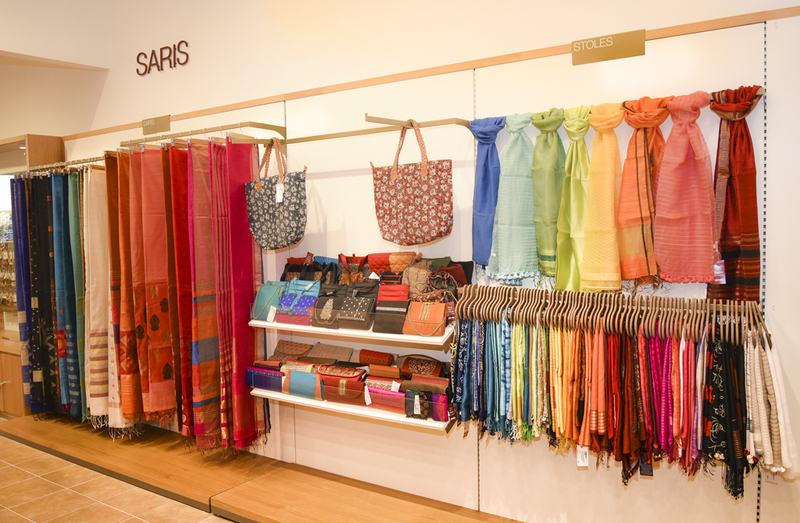 Our products involve crafts-based traditions of hand spinning, dying, weaving, wood block printing and embroidery. 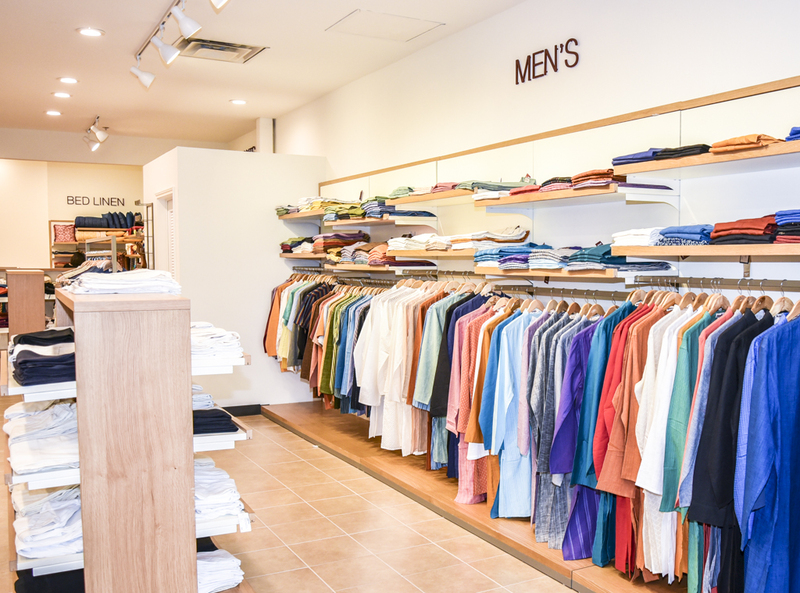 We use both vegetable dyes and commercial dyes with the goal of minimizing our impact on the environment while striving for the best colour properties. An irregular weave or print is not a defect – handloom by definition means uncertainty when it comes to uniformity. This site is provided by fabindiaplano.com on an “as is” and “as available” basis. Fabindiaplano.com makes no representations or warranties of any kind, express or implied, as to the operation of this site or the information, content, materials, or products included on this site. You expressly agree that your use of this site is at your sole risk. To the full extent permissible by applicable law, fabindiaplano.com disclaims all warranties, express or implied, including, but not limited to, implied warranties of merchantability and fitness for a particular purpose. Fabindiaplano.com does not warrant that this site, its servers, or e-mail sent from fabindiaplano.com are free of viruses or other harmful components. Fabindiaplano.com will not be liable for any damages of any kind arising from the use of this site, including, but not limited to direct, indirect, incidental, punitive, and consequential damages. You agree to defend, indemnify and hold Fabindiaplano and its affiliates harmless from and against any and all claims, damages, costs and expenses, including attorneys’ fees, arising from or related to your use of the site. By visiting Fabindiaplano.com, you agree that the laws of India, under the jurisdiction of the Delhi High Court, without regard to principles of conflict of laws, will govern these Conditions of Use and any dispute of any sort that might arise between you and Fabindiaplano.com or its affiliates. Any dispute relating in any way to your visit to Fabindiaplano.com or to products you purchase through Fabindiaplano.com shall be submitted to confidential arbitration in Plano, Texas, except that, to the extent you have in any manner violated or threatened to violate Fabindiaplano.com’s intellectual property rights, Fabindiaplano.com may seek injunctive or other appropriate relief in any court in India or internationally, and you consent to exclusive jurisdiction and venue in such courts. Arbitration under this agreement shall be conducted under the rules then prevailing under the Indian Arbitration Act. The arbitrator’s award shall be binding and may be entered as a judgment in any court of competent jurisdiction. To the fullest extent permitted by applicable law, no arbitration under this Agreement shall be joined to an arbitration involving any other party subject to this Agreement, whether through class arbitration proceedings or otherwise.